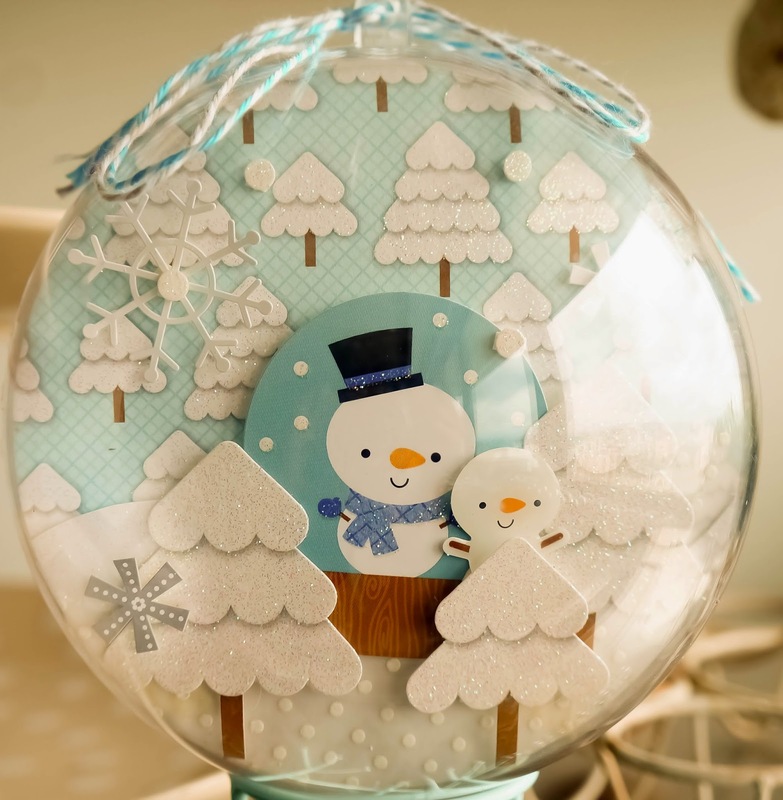 We are excited to feature two amazing ideas today on the blog featuring "Snow Globes". 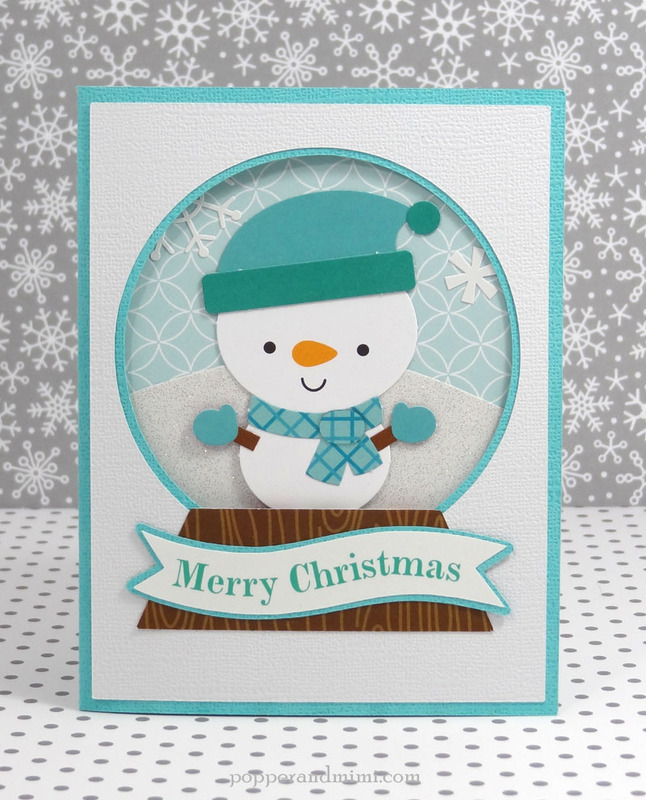 Both Sharm and Amanda created a couple of darling projects with the new Frosty Friends Collection. You will want to share these to copy for later!! Christmastime is (sort of) almost here and that means it's time to start cranking out holiday cards. 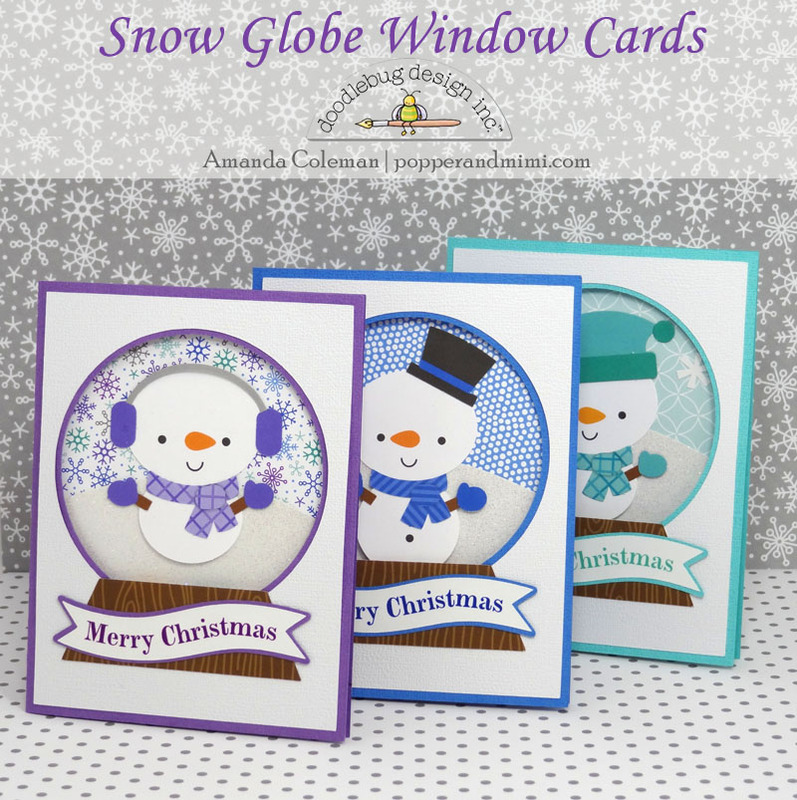 Inspired by the snow globe sticker in the Frosty Friends collection, I made a trio of bright and happy snow globe window cards to send to friends and family this Christmas season. 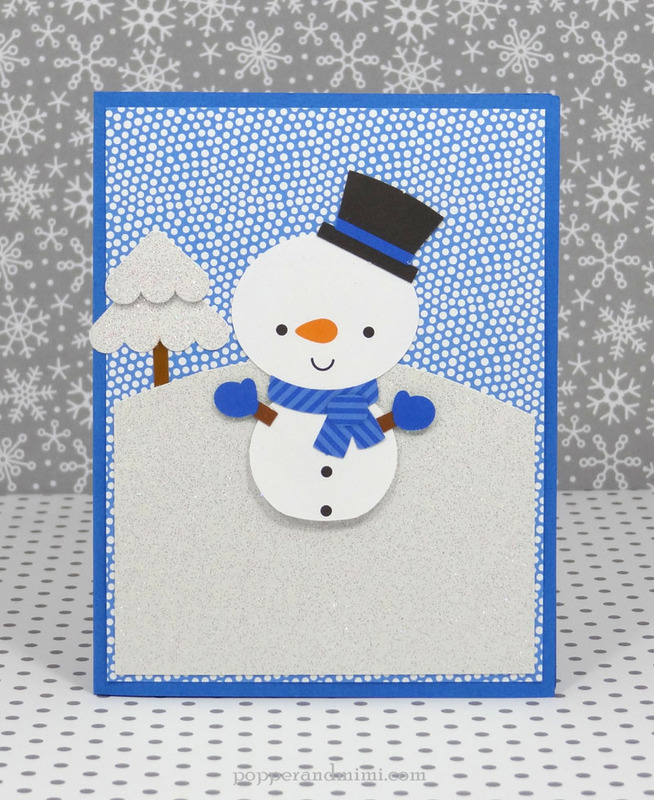 Is there anything cuter than a Doodlebug snowman? 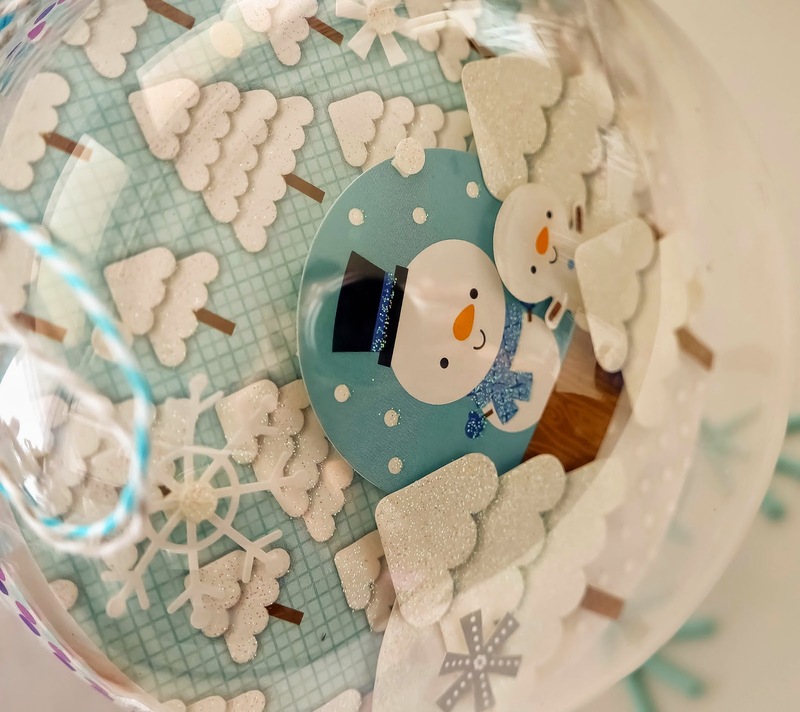 I used the adorable die cut snowmen from the Mix & Match Snowmen Craft Kit as the focal point of each of these snow globe window cards. I started with a card base and die cut a circle in the front of the card. 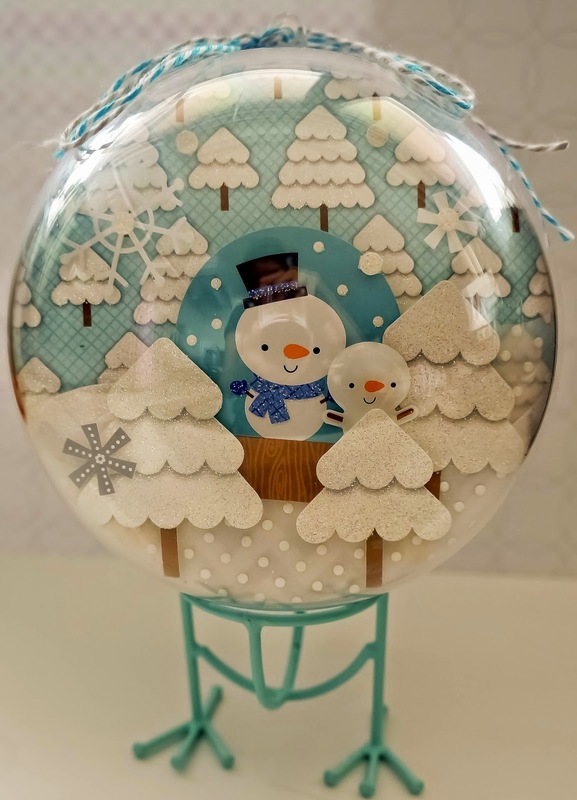 I then trimmed a white panel and die cut a circle slightly larger than the one in the card so it would create a nice border around the snow globe. Each card has a complete scene on the inside. I adhered a piece of patterned paper on the inside of the card and then trimmed a piece of sugar coated cardstock to create the snow. 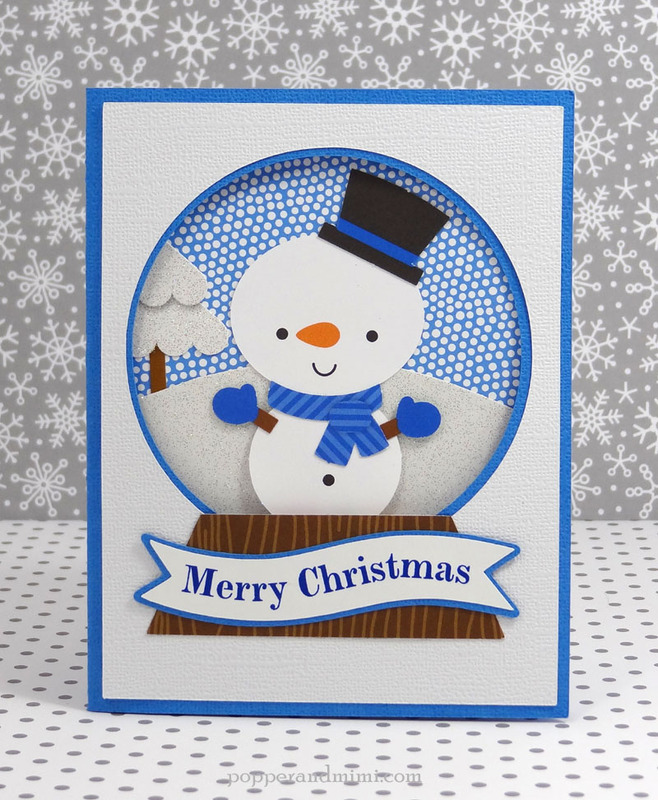 I assembled and adhered the snowman to the background and added some fun sticker details. I die cut the snow globe bases from woodgrain patterned paper from the Friendly Forest collection. 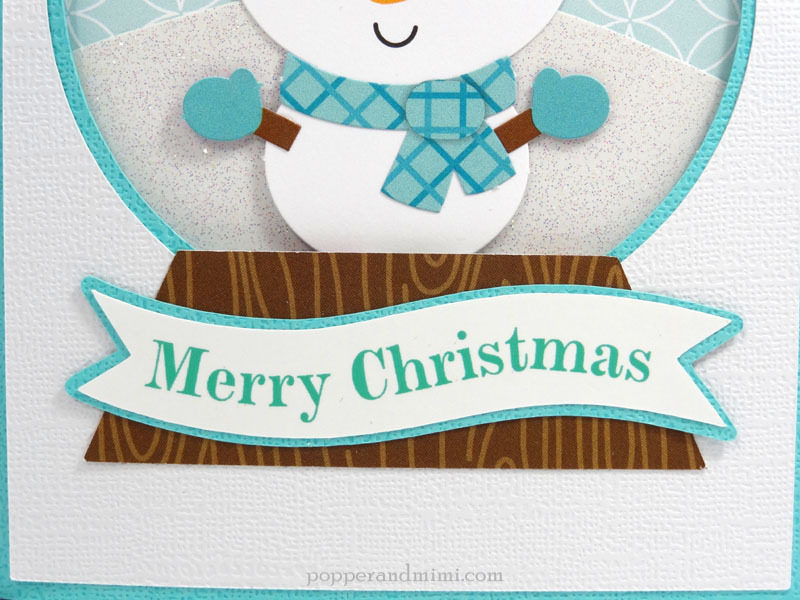 As an alternate to die cutting, you can simply cut a strip of patterned paper at an angle. I chose not to use any foam squares or add any dimensional embellishments on these cards so they would be nice and flat and easy to mail. 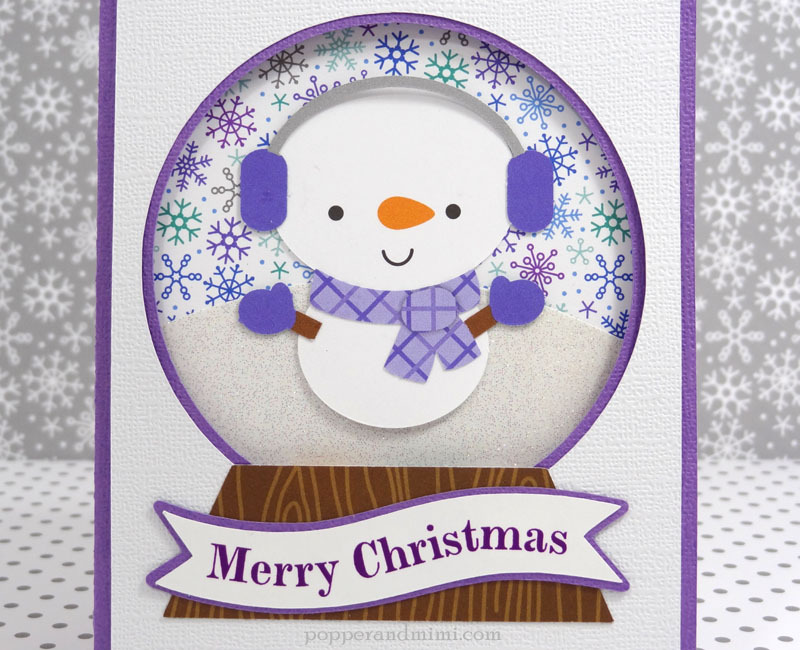 If you are giving these cards in person, pop up some elements of the snowman or add some fun embellishments to add texture and dimension to the cards. Use the print and cut function on your die cutting machine to create a custom sentiment. Mat your sentiment with cardstock to really make your sentiment pop. Don't have an electronic die cutting machine? Bend your clear stamps to follow the lines of a curvy banner. Hi there!! Have you seen the Frosty Friends collection yet? Isn't it absolutely adorable?! it reminds me so much of the Animated Movie Frozen! :) What I made using this collection is an altered globe. Looks like my Christimas Tree will have a new addition to it's many ornaments this year! 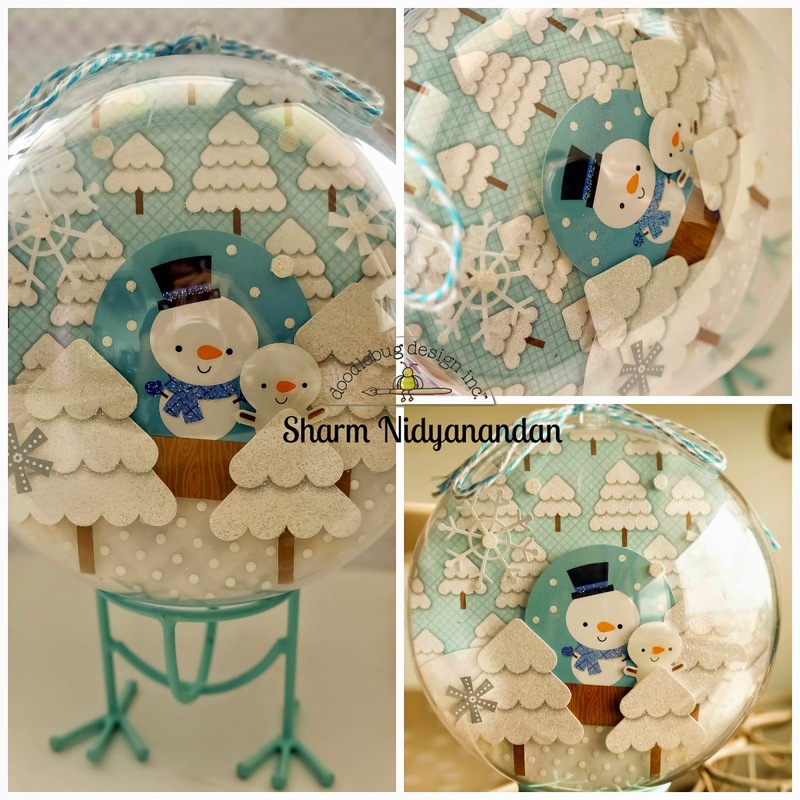 The snow globe cards are adorable and the altered globe is so unique! Great job ladies! Aww! Love those cards! great work! I love the ornament and the cards are so cute. A M A Z I N G!!!! You are super talented gals I love snowglobes and girls you just took me to snowglobe heaven!!!! OMG!!! I want every single one and have them everywhere in my home I am rendered speechless and to me is to know that I'm never at a loss for words....WOW!! THANK YOU for sharing your CREATIVE INSPIRATION ladies!!! What a great idea. Tracy M #6773 sent me. Oh these are sooooOOOoooooo cute!!!!!! I pinned the first one in detail. I pinned the second one to show detail. I pinned the third one to show the detail. These snowglobe cards are sooo cute!! Thanks for the inspiration. I pinned the purple card. I pinned the blue card. I pinned the mint colored card. I pinned the altered globe. Such cute cards!! Love them!! these ideas are awesome ! Pinned and shared. Adorable, both of them!! So I pinned them both!